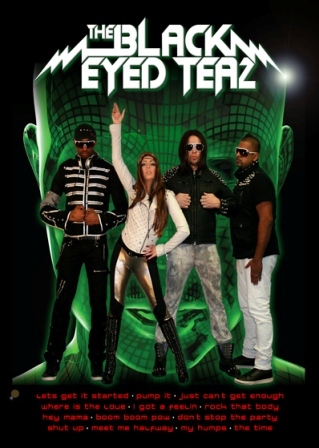 Created in 2010, the Black Eyed Teaz have toured extensively throughout The UK and in Europe. Their tribute show is a highly energetic show featuring massive hits such as 'I Got A Feeling', 'Pump It', 'Let's Get It Started', 'Rock That Body' and 'Where Is The Love' to name just a few. Available with backing tracks or with their LIVE band.